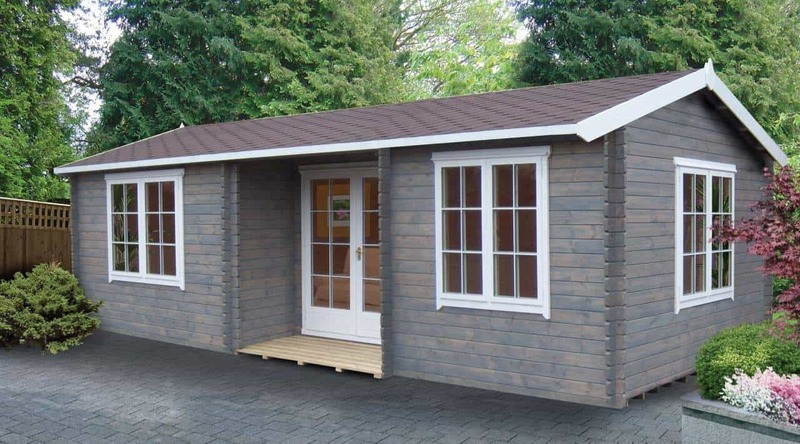 You’ll be making a grand statement with the sensational Elveden Tongue & Groove Wooden Log Cabin. 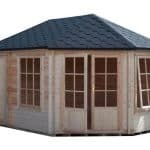 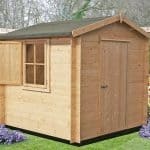 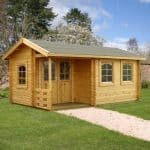 For those with large garden spaces this log cabin will make a sensational show piece, almost a house in its own right, it has a large double front door with glass panes and generous size window giving good light, air and ventilation inside. 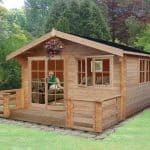 It is a handsome building with an Apex style roof and enough space inside to entertain a gathering or even as an additional living space for you to relax and kick back in. 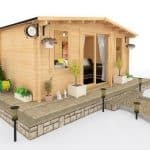 This is home delivered.